For those of you that we have had the priviledge of hosting over the last 7+ years, and of course our neighbours, you will be familiar with the site as evidenced in the first picture. 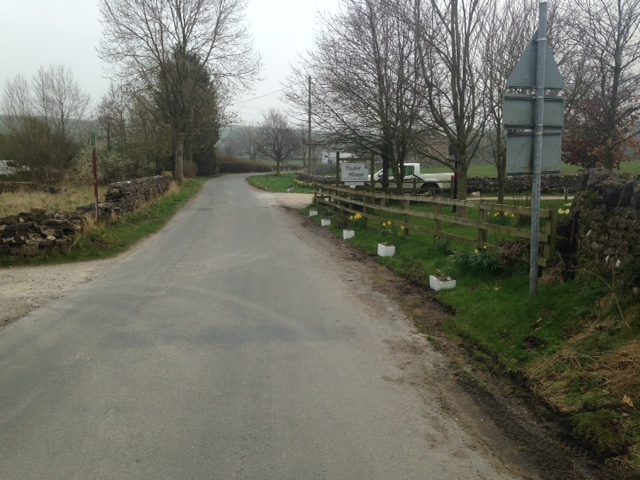 The voluntatry work we have done at one side of the entrance to our drive which is adopted/’owned’ by NYCC highways. 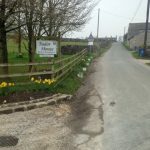 We have mown it, planted bulbs, bushes & plants, re built the wall when required and paid for the lawn to receive ‘treatments’ to keep it in good condition. Seven years ago we also put in concrete planters to define the edge of the lawn, to give it some colour whilst plants were developing and of course to protect the edge. Not once has anybody complained, has there been any incident nor has anyone approached us to talked about objecting to the work we have put in. Consider now pics 2 & 3. 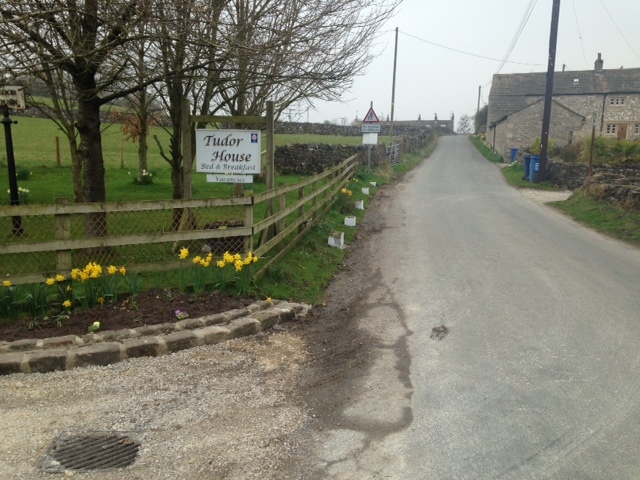 We have once again spent time and money trying to improve the first impressions visitors & guests get when approaching TH & adjoining cottages, this time ON OUR OWN LAND. 7 years ago we invested a lot of money in replacing a delapidated old fence with a brand new one and erected a brand new sign. However, we have singularly failed to stop thoughtless tourists in the main parking tight up against the fence leaving deep tyre marks in the small area of grass between the fence and the tarmac. This despite a great deal of effort and money being spent on planting bulbs, bushes etc. They just get steam rollered and leave unsightly tyre gouges. The last straw was when a Palletways lorry parked there and left very deep gouges in the grass verge. 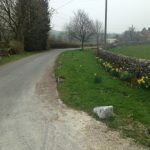 Thus when we employed David Hargreaves to built a small retaining wall to protect the grass on the bend (pic 3) into the drive we also asked him to mirror the apparently safe and none conteniuos grass protection measures on the other side and put some concrete planters, set back from the edge, but on the verge between road and fence. At first these were vandalised over night and dug up and thrown over the fence. Not as easy job or casually done as they were concreted in! No contact, no questions, just mindless cowardly vandalism. 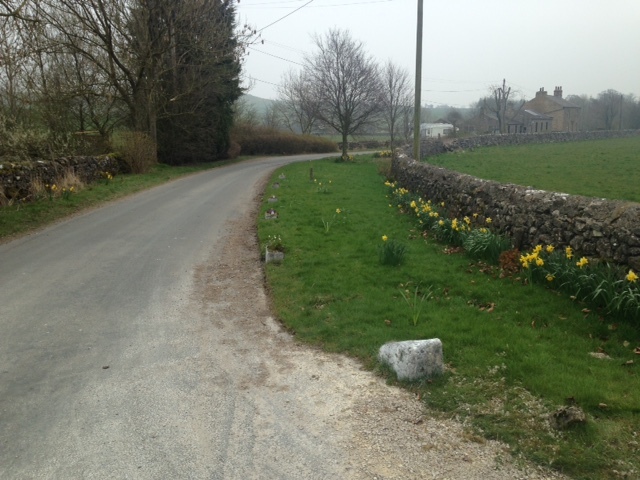 Having been put back by us, set back even further, painted white and planted with rockery plants, we were then contacted by the council as they had received an ‘anonymous’ complaint, presumably from the people who vandalised the area in the first place. Our response was to say it was our property and we were only trying to improve the visual appearance of our property and livelihood. The council officer we spoke to said he was happy to accept that and would close the case. Step three, a council officer appeared on our door today to say he was investigating another anonynous, but written complaint. Hand delivered, but with no name or address, with photographs, claiming the work we have done to be hazardous to traffic. 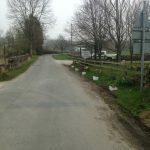 We pointed out that the road has in fact been widened by the work we have done by cutting away turf that has crept onto the tarmac over several years. It is now wider than the section of road where we have had similar landscaping in place for 7 years without incident or mishap. He has now called back to tell us he is writing to us to request removal of the planters. We will take issue with this, but the hardest thing to bear is the cowardly way in which somebody has firstly illegally damaged our property and then anonymously complained without coming to talk to us. All you had to do was knock on the door and talk to us!